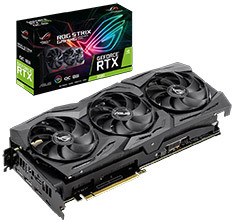 The ASUS ROG Strix GeForce RTX 2080 OC Gaming graphics card features a 1515MHz base clock with a 1890MHz boost clock in OC mode, 8GB 256-bit GDDR6 memory, PCI-E 3.0, 2944 CUDA cores, Axial-tech Fans, Super Alloy Power II, OpenGL 4.5 support, DirectX 12 support, 2x HDMI 2.0b, 2x DisplayPort 1.4, USB Type-C Support and more. 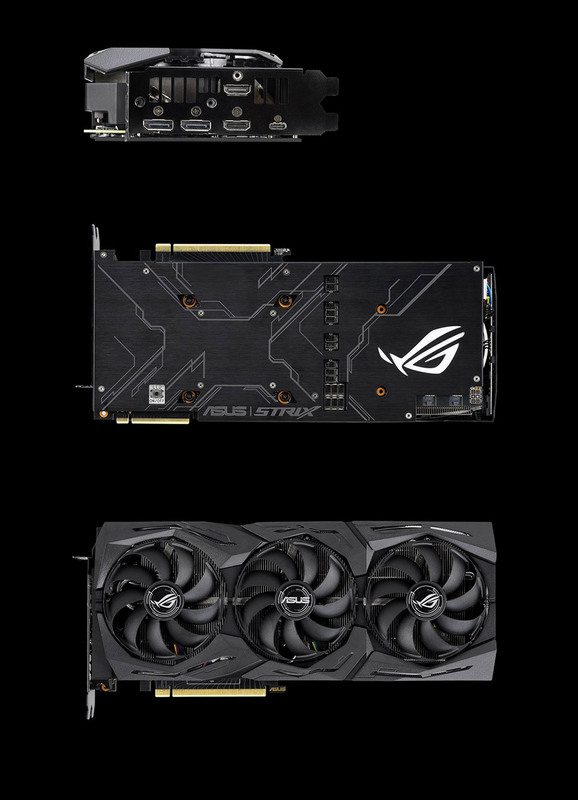 The ROG Strix GeForce RTX 2080 teams up NVIDIA's A-list GPU with an elite cast of specialists, setting the stage for epic gaming action. Gargantuan power delivery provides the muscle to push overlocking boundaries, while cooling that's honed to perfection keeps the spotlight squarely on Turing's performance. Backed by a 3 year ASUS warranty.